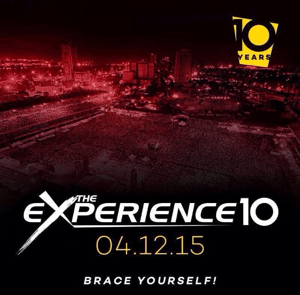 The Experience is an Annual Gospel Concert Hosted by Pastor Paul Adefarasin of House On The Rock Church. The concert has attracted people from far and near breaking the barrier of Denomination. It has been a platform for international gospel acts to minister in songs on a stage shared with home grown gospel artists too . For those of you that were Live or Watched #TheExperience10 will believe it Africa’s Biggest Gospel Conert. A concert ‘every’ stakeholder in the wants to get involved in. The Line up Artistes for this exceeded beyond imagination, having the Fact that we were having first timers among but still they worshipped God like they wouldn’t again. Frank is Unarguable one of the most celebrated Artistes I’m Nigeria with his passion to impact many souls with his son. The BLW nation artistes has bagged many awards to God’s glory. He was LIVE at the Experience. Some People Refer to this American Artiste as the Grandfather of worship. I agree! He has been singing for many years now and the anointing keeps refreshing. He ministered alongside Le Blanc. I must not fail to say Donnie is a worshipper. In any situation, you will find him worshipping. I got astonished in this year’s when he sang some nigerian indigenous songs. Sonnie a.k.a BaduAfrika Permit me to call him The Africa Man. Badu’s Style of Worship is far different. I call it the Africa’s Style. The Good thing is that Sonnie Badu makes his First Appearance at The Experience and the praise was so exceptional . I hope to see him around next year. The wellu wellu master & Glo Ambassador also took turn to handle a power full worship session. Micah is unarguably a worshipper, Seeing him at this edition worshipping God will confirm that to you. If you are familiar with BET Sunday Best , then the American Singer Jessica Reedy won’t be a stranger to you. She made her first appearance at the Experience  and I must say she is a true worshipper. I say this again She has won herself a big fan. Akpororo the warri guy was LIVE at The Experience to dish out clean jokes in the presence. This young man can’t be on stage and you won’t laugh. Impossible! His face sef makes you laugh.